The American Civil War was an issue of moral differences between the North and the South! Immigrants helped to fuel the growth of the United States; they brought with them their beliefs shaped by former government and religious associations. In their new homeland, some beliefs would prevail while others would fade as cultures became integrated. The Age of Enlightenment was a cultural movement that began in the 17th and 18th centuries in Europe and spread to the American colonies. The movement's philosophical emphasis on liberty, democracy, republicanism and religious tolerance influenced America's founding fathers and became a part of The Declaration of Independence, Bill of Rights, and the Constitution. The idea that someone would own another person, slavery, became an intolerable thought for some people, though others did not follow that belief. 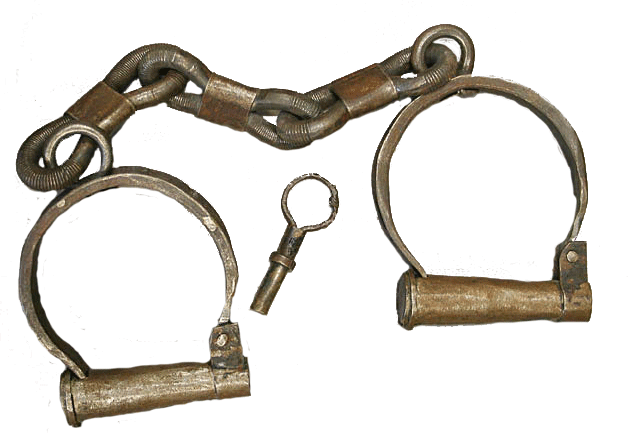 While some slave owners gave slaves freedom, other owners held tightly to their bounty. The American Anti-Slavery Society was founded in 1833 by William Lloyd Garrison and Arthur Tappan. Their charter called for the abolition of slavery by any means, which sometimes was violent and controversial. A frequent featured speaker was an eloquent former escaped slave, Frederick Douglass. The Society was dissolved in 1870 sometime after Lincoln's Emancipation Proclamation and other constitutional amendments. People's attitude toward slavery was also shaped by anti-slavery cartoons and writings. 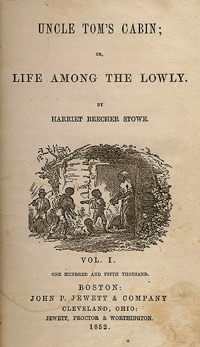 Perhaps the most famous and influential book of the time was Uncle Tom's Cabin by Harriet Beecher Stowe, which depicted the heartbreaking story of a slave torn from his family and sold to an evil slave overseer. The novel, which was first published in monthly installments in the National Era magazine, was written in response to the Fugitive Slave Act of 1850 and helped to fuel the abolitionist movement and affected politics. Southerns denounced the book as propaganda—from their point of view, plantation life was not that terrible; after all, the plantation and slaves were their own property, which was under their care and control, and consequently, the resulting life style was normal, having been shaped by social, political and religious morals from their ancestors. Along with the issues and events of the time, this book was highly influential in instigating the American Civil War. When Stowe met Abraham Lincoln, he noted, "So this is the little lady who made this big war." Another major event further divided the nation. In 1857 with the Dred Scott Decision, the Supreme Court denied African Americans citizenship in the United States. This enraged abolitionists, but made slave owners happy.